PLEASE NOTE! THIS SITE WILL NOT BE UPDATED ANY LONGER. This site is dedicated to Israel and to people around the world who with pure heart Love Israel and want to obey G-d in Blessing Israel and praying for Peace to Jerusalem, the City of Our Savior, Jesus Christ. Pentecostel Church in Eskilstuna, Sweden. Without the Jews we Christians would not have The Bible and the Savior of all people! While the activity in our Circle is based on G-d's Word, we also want to be informative, as well as the finger on the pulse stimulating circuit, whose members gain an understanding of Israel's diversity, which can not be fully understood without, even a moderate understanding of Judaism. Our vision is to be arranging different Israel events in our town where we would invite speakers, Worshippers and visitors who Love Israel, from near and from far away. We meet last Monday in every month. The next meeting is on 11.26.2012, starting at 6pm. 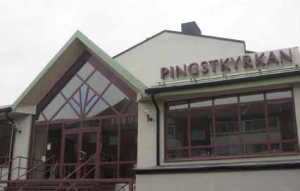 in Pentecostal premises, Smedjegatan 23. WELCOME TO ESKILSTUNA PENTECOSTAL CHURCH TO BLESS ISRAEL! We are instructed to pray for the peace of Jerusalem, “Pray for the peace of Jerusalem: “May they prosper who love you.” – Psalm 122:6. Those that pray for Jerusalem will prosper. Educate your church by encouraging prayer for Israel, deliver teachings on Israel, and create support groups. Display the Israel flag at your home, church, or ministry as a sign of support and love. Do not support political legislation that divides Jerusalem or Israel. Division of God's land is forbidden in Joel 3:2. But one of the Best ways to Bless Israel, is actually to travel to Israel. Every Christian should travel to Israel at least once. Following in the footsteps of Jesus opens the doorway to biblical stories in a new way. 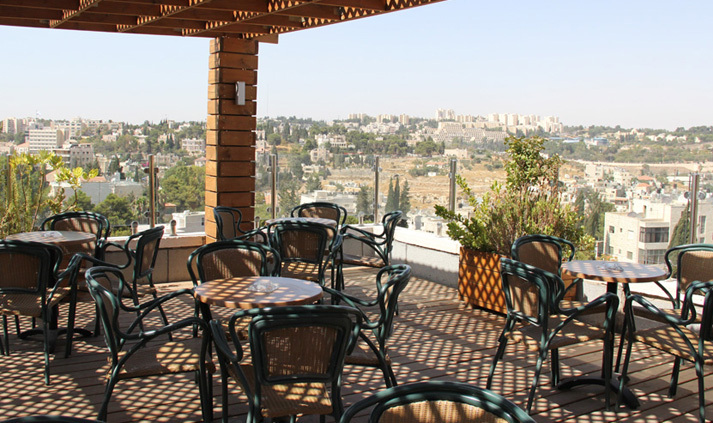 Classic Jerusalem sites, museums, neighborhoods, graves -- and more -- all on one page! Of the major world religions, Christianity and Judaism are likely the most similar. Christianity and Judaism both believe in one G-d who is almighty, omniscient, omnipresent, eternal, and infinite. Both religions believe in a G-d who is holy, righteous, and just, while at the same time loving, forgiving, and merciful. Christianity and Judaism share the Hebrew Scriptures (the Old Testament) as the authoritative Word of G-d, although Christianity includes the New Testament as well. Both Christianity and Judaism believe in the existence of heaven, the eternal dwelling place of the righteous, and hell, the eternal dwelling place of the wicked (although not all Christians and not all Jews believe in the eternality of hell). Christianity and Judaism have basically the same ethical code, commonly known today as Judeo-Christian. Both Judaism and Christianity teach that G-d has a special plan for the nation of Israel and the Jewish people. The all-important difference between Christianity and Judaism is the Person of Jesus Christ. Christianity teaches that Jesus Christ is the fulfillment of the Old Testament prophecies of a coming Messiah. Judaism often recognizes Jesus as a good teacher, and perhaps even a prophet of G-d. Judaism does not believe that Jesus was the Messiah. There is no more accurate description of Jesus than Isaiah 53:3-6: "He was despised and rejected by men, a man of sorrows, and familiar with suffering. Like one from whom men hide their faces he was despised, and we esteemed him not. Surely he took up our infirmities and carried our sorrows, yet we considered him stricken by G-d, smitten by him, and afflicted. But He was pierced for our transgressions, he was crushed for our iniquities; the punishment that brought us peace was upon him, and by his wounds we are healed. We all, like sheep, have gone astray, each of us has turned to his own way; and the LORD has laid on him the iniquity of us all." and certainly not according to the opposing wishes and urges of the Gentile, non-Jewish or anti-Jewish spectators! Ezek. 37:15 "The Word of YHVH was addressed to me* as follows: 'Son of Man, take a stick and write on it, "Judah and those Israelites loyal to him:. Take another stick and write on it, "Joseph, the wood of Ephraim and all the House of Israel loyal to him." Join one to the other to make a single piece of wood, a single stick in your hand. And when the members of your nation say, 'Tell us what you mean'; say. 'The Lord YHVH says this: I am taking the stick of Joseph ... and I am going to put the stick of Judah with them. I shall make one stick out of the two, and I shall hold them as one ... I am going to take the sons of Israel from the nations where they have gone. I shall gather them together from everywhere and bring them home to their own soil. I shall put My Spirit in them - ... they shall no longer form two nations nor be two separate kingdoms ... My Servant David will reign over them ... they will follow My Observances, respect My Laws and practice them. They will live in the Land that I gave My servant Jacob ... I shall make a Covenant of Peace with them, an Eternal Covenant ... I shall settle My Sanctuary among them for ever ... I shall be their God, they shall be My people. And the nations will learn that I am YHVH the Sanctifier of Israel, when My Sanctuary is with them for ever." 'me'- the writer, Ezekiel the Hebrew prophet (6th cent. BCE - at the time of the Babylonian captivity). Some 4 centuries earlier, the 12-tribe nation of Israel had split into the Northern Kingdom, (10 tribes, incl. the tribes of Joseph and Ephraim) hence forth known as "Israel' , and the southern Kingdom (Judah and Benjamin). These 'two nations' often warred with each other. Judah carried the Oracles of God from Jerusalem. Israel (the 10 northern tribes) degenerated into paganism and disappeared from history. Both Houses were exiled from the Land. Each stick represents one section of the divided Israel God promises to re-unite the 2 houses but onlyafter the ingathering - which started for Judah since World War 1. The State of Israel (consisting of the returned House of Judah & Benjamin) was declared in 1948 The 10 Tribes totally lost their Identity as they probably migrated to new countries across the globe. To date, they have not yet been identified and has not returned to the Land of Israel. The re-identified 10 tribes, will return to Israel, as Judah did. They will be re-united with Judah and will also accept and abide by the Laws of God, which had been protected throughout the centuries by Judah (the Jews), even in exile. After King Solomon (970 - 931 BCE) the ancient Kingdom of Israel split into 2 opposing sectors: 'Israel' - the Northern sector, 10 Tribes, Main City Schechem; and 'Judah' - southern kingdom, 2 Tribes, Main City Jerusalem. 720 BCE, the apostised 10 Northern tribes conquered, deported and the land repopulated with foreigners. Gradually lost their identity over the next 5 centuries. after 70 year prophesied exile, Judah (and Benjamin) return and rebuild Jerusalem. 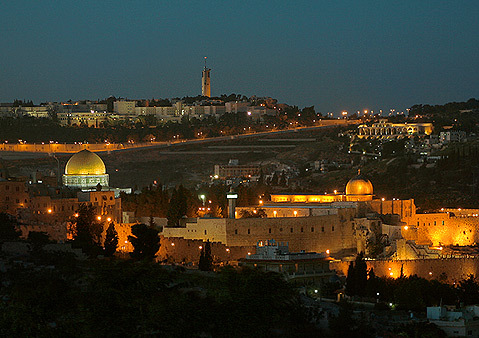 70 CE, Jerusalem destroyed by the Romans. Jewish survivors exiled as slaves. The next 1900 years (to 1948) saw the gradual engulfing of the exiles across the globe into every country and nation on earth. Since World War 1, the Jews gradually trickled back to Israel from across the world. The international Balfour Declaration (1917) recognized Palestine, as the ancient Jewish Homeland. 1948 State of Israel declared. Millions of Jews return over the next few years, many from the death camps of Hitler and the Holocaust. Israel built up, within a decade, to one of the strongest armies in the world and a technologically advanced economy. Jewish population count in Israel, year 2000 - 6 million. 1980's and 90's - increasing awareness amongst earnest Christian Bible scholars (mainly from the USA and Western Europe) discovering their 'Hebraic' roots in an awakening which could be the dawn of the re-identification of "The Lost House of Israel". Increasing awakening and acceptance of, and observance of 'Jewish' Sabbath, Festivals and other customs by individuals and small study clusters under the common banner of 'Hebraic Roots Restoration Movement', Sacred Name Movement and Messianic 'Jewish' Movements. Millions of pro-Israel Christians show solidarity with Judah and call for the rejection by Israel of the Oslo Peace Accords. Year 2000 - Increasing identification by individual members of the above movements, with Judah in its 'time of distress', as world pressure and secular, leftist Israeli powers barter Holy Land for 'Peace' with the Palestinians. As the Battle for Jerusalem intensifies and builds up to an Armageddon scenario, this support for Israel develops into a search by awakening 'Israel', for definite projects to realize active emigration of 'non-Jewish' settlers to the Land of Israel. · The power of the Sanhedrin should be extended to enable them to rule the nation in collaboration with a king. This king must recognise the supreme authority of God and govern his people by means of his own officials as well as the Sanhedrin. The Lord should be consulted through the mediation of a high priest before important decisions are taken, thereby observing a theocratic form of government. At present Israel has a secular, democratic government which is not recognised by orthodox leaders. 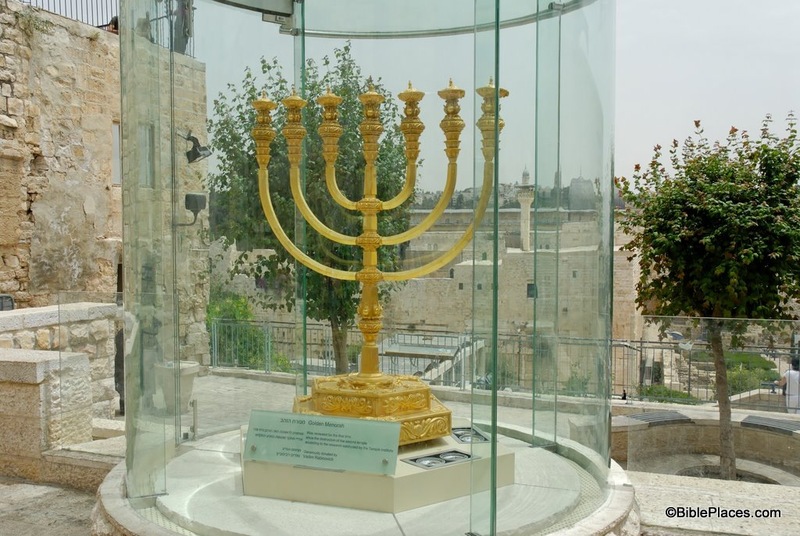 · The roots of the Jewish culture should be derived from the temple service, which demands the building of a temple in the prescribed place on the Temple Mount in Jerusalem. The end-time restoration of Israel in their own land is not regarded as complete before a temple as the highest expression of Israel’s political and religious life, as well as a cultural centre, has been put into operation. 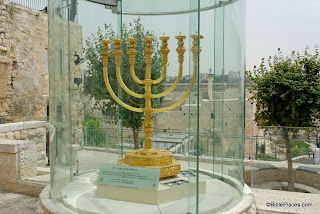 The temple is regarded to be the heart of Biblical Jerusalem and the entire nation. · According to the orthodox Jewish faith there can be no reconciliation between God and man without regular sacrifices in the temple for the remission of the people’s sins: “…without shedding of blood there is no remission” (Heb. 9:22; Lev. 17:11). Orthodox Jews who do not accept the final sacrifice of the Messiah as the Lamb of God (cf. John 1:29; Heb. 10:1-18) allow themselves no alternative but to revert to the Old Testament’s sacrificial service. Jews who do not share this conviction with them are regarded as apostates and even enemies of Israel. · A new basis for international relations is envisaged through the temple service and its associated form of government. Isaiah 2:2-4 is often quoted in support of their vision since this scripture describes Jerusalem as world capital where a government of righteousness for all nations will be established. God will rule and His reign will bring about the end of all hostilities among nations. 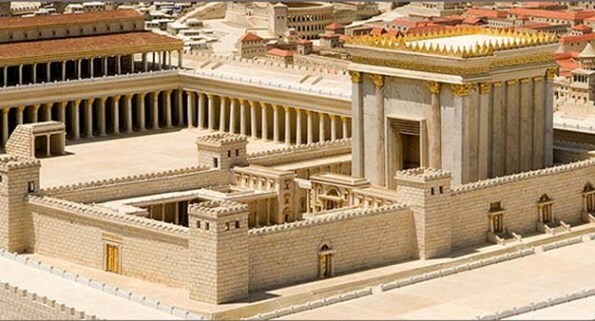 The building of the so-called “Third Temple” is associated with the coming of the Messiah. Under His rule Israel will be a blessing to the whole world. The Sanhedrin is a traditional Jewish council of religious leaders which, during biblical times, used to be the highest judiciary body within the framework of the Torah in Israel. On 13th October, 2004, after almost two millennia, a Sanhedrin was again instituted in modern Israel. This body, however, does not enjoy official status in Israel and is only recognised by orthodox Jews. The new Sanhedrin is composed of 71 prominent rabbis and other Jewish scholars. The founders of the modern Sanhedrin say they only do their duty (mitzvah) in constituting such a council. Maimonides, a 12th century Jewish scholar, described the steps that should be taken to constitute a Sanhedrin. During the time of the Second Temple (the Temple of Herod during the first century) there was a Sanhedrin which was the supreme body responsible for the administration of justice from a religious point of view. The 71 members of the Council were seated in a semi-circle in a special room on the Temple Mount. At meetings of the present Sanhedrin the possibility of the rebuilding of the temple in Jerusalem is a major subject for discussion. They try to determine the precise place for the building of the Third Temple. This is a very difficult assignment since they are not allowed to do archaeological excavations on the Temple Mount, which is under the control of a Muslim committee. 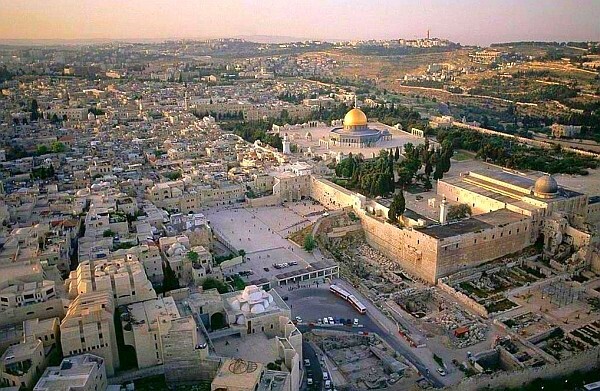 After Israel had captured the Temple Mount from Jordan in 1967 they ceded this area to Muslim control due to the presence of mosques which are constantly visited. Muslims regard it as the third-holiest place after Mecca and Medina. But Jerusalem is nowhere mentioned in the Koran and Muslims only use the presence of Palestinians in Israel to undermine the Jewish nation and deprive them of their rights to the land and the city of Jerusalem. This is the major reason for the strong Islamic resistance against the rebuilding of the Jewish temple, as well as excavations on the Temple Mount to expose the foundations of the previous temple. 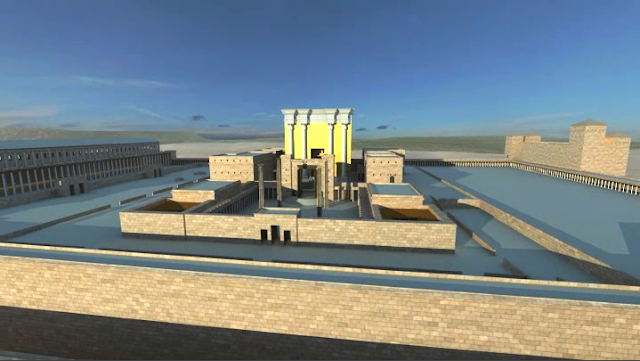 The new Sanhedrin formed a committee of professors, archaeologists and religious leaders to investigate the correct location of the temple with a view to its rebuilding, and to submit their report to the full Council. Rabbi Chaim Richman, one of the executive members of the Council, said it is most fitting that the new Sanhedrin should contemplate the building of the temple since it is of great significance for the cultural and religious identity of the Jewish nation. He expressed his disappointment at the withdrawal from certain parts of Israel’s territory by their government, thereby relinquishing Israel’s dream of full restoration. The Sanhedrin seeks ways to strengthen the roots of the Jewish faith by again uniting Israel as the Chosen People around the temple service and the Torah. The Sanhedrin does not recognise the present democratic government of Israel and committed themselves to electing a king for the land. This is a dangerous course upon which orthodox leaders have embarked since the false messiah will pretend to be a descendant of David and lay claim to the royal throne of Israel. In an effort to honour the demands of the Torah the Council has written to all governments early in 2007, impressing it upon them that the world is on a disastrous course. In terms of Isaiah 2:2-4 they proposed that the temple be rebuilt in Jerusalem in order to again experience the presence of God in the pursuance of peace on earth. For obvious reasons the Sanhedrin will welcome the false messiah when he appears on the scene since he will pretend to be the true Messiah who will speak to their hearts by allowing Israel to rebuild the temple. Great disillusionment will soon follow. Rabbi Chaim Richman of the Sanhedrin is also CEO of the Temple Institute in Jerusalem. This Institute collects and manufactures furniture, altars, special equipment and robes for priests, which are all needed to resume the temple service. They have already made golden lampstands, a bronze laver as well as a golden crown for the High Priest. The robe of the High Priest is ready, as well as garments for 120 priests. All these items still need to be purified by sprinkling them with specially prepared purification water (cf. Num. 19:1-9). To be able to prepare this water they first need to find a red heifer with no hair on it of any other colour. The heifer must then be slaughtered and burnt, after which a small amount of its ash can be used to prepare holy water. The problem is that, for the sake of continuity, the remains of the previous red heifer’s ash must first be found and placed on top of the present heifer when it is ritually burnt. What great advantage do we in the New Testament have to be purified by the blood of the Lamb when we approach the Lord’s throne of grace through the torn veil! We do not need earthly priests as mediators as we have a great High Priest who has prepared the way for us (Heb. 10:19-22). Various Jews from the tribe of Levi are trained as priests in special schools in Jerusalem and New York. There are 613 Old Testament laws with which they have to acquaint themselves. 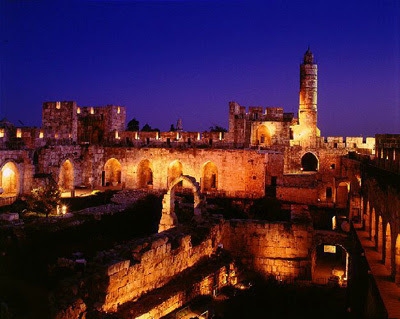 In July 2007, a big conference for priests and Levites was held in Jerusalem. Jews with the surname of Cohen are descended from the first priest, Aaron, and may be trained as priests. The modern Sanhedrin is so strongly committed to reconciliation with God by way of Israel’s OT sacrificial service that they started building an altar in November 2009 according to biblical instructions. The altar is now complete and invitations have been extended to Jews all over the world to attend the coming Passover in Jerusalem on 29 and 30 March (rabbinical date) when Paschal lambs will be slaughtered and sacrifices made on the new altar. Enough lambs will be bought so that all Jews who attend will be able to partake of the meat of their Paschal lamb as specified in Exodus 12. This will be an important event because Israel’s sacrificial service will thereby be revived even before the rebuilding of the temple. They hope to secure God’s blessing in this way and that He will enable the Sanhedrin to build the temple very soon. Another important religious event is the rebuilding, since 2005, of the famous Hurva Synagogue in Jerusalem. This synagogue is now complete and will be dedicated on 15th March 2010. On 16th March, plans for the rebuilding of the Third Temple will be announced – two weeks before this year’s Passover and the renewed sacrifice of the Paschal lamb. All the events scheduled for March 2010 have stirred up great expectations among orthodox Jews that the Messiah will come and that the temple will soon be rebuilt. Although there are diverging opinions on the rabbi’s prophecies they are nevertheless remarkable in their fulfilment. The ending of 400 years of Turkish control over Jerusalem is a well known fact of history. It is astounding that he foresaw a subsequent fifty-year period during which Jerusalem would be a no-man’s land, followed by 50 years of Jewish control prior to the coming of the Messiah. Since 1917 Palestine was a British mandate during which it did not really belong to any nation. In 1948 with the independence of Israel, biblical Jerusalem (the eastern part of the city) was nominally under Jordanian control while an escalating conflict raged over who the rightful owners of Jerusalem were. 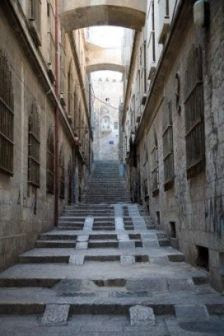 During the Six-Day War in June 1967 the Old City and the entire West Bank area were captured by Israel, which resulted in the whole of Jerusalem being under sole Jewish control for the first time since the Babylonian Exile. Hereby fifty years of tussle over the ownership of Jerusalem and large parts of the land of Israel was ended. This would, according to the rabbi, be followed by 50 years of Jewish control over the city until 2017 when the Messiah’s reign of peace is expected to begin. Bible students know that Daniel’s 70th year-week (the tribulation of seven years) must first elapse before the Messiah’s reign will be established. This fact renders 2010 prophetically very significant to Jews and Christians alike. Whether the rest of the rabbi’s prophecies will be fulfilled in the same remarkable way as the others remains to be seen. We do not engage in the practice of date-setting and merely follow these events with interest and an increased expectation on the coming of the Lord Jesus. The last year-week before the coming of Christ will coincide with the rule of the false messiah when the whole world will be deceived by him (Rev. 13:3-4). He will deceive the followers of all faiths to accept and worship him as their common Messiah. We should pay particular attention to how the Jews are being prepared by the spirit of error on this coming time of religious equality and religious unity. The sensational news from the Sanhedrin in Jerusalem is that the Third Temple will be a house of prayer for all monotheistic faiths, of which Judaism, Christianity and Islam are the most important. The Lord’s words in Isaiah 56:7 are quoted as justification for this announcement: “For my house shall be called a house of prayer for all nations.” This statement is wrongly interpreted in a multireligious way in order to also give recognition to non-Biblical faiths such as Islam. A Jewish website, www.godsholymountain.org/ promotes the idea of “God’s holy mountain” as being open to all faiths. According to present planning the religious activities in nearby Islamic mosques as well as Roman Catholic sanctuaries will be integrated with the temple service. The executive director of the Temple Institute, Jehuda Glick, says that they are waiting on the coming of the Messiah as only he can authorise the building of the temple. The multireligious thinking which is foundational to the campaign for the rebuilding of the temple in Jerusalem is exactly in accordance with the biblical account of the temple for the coming tribulation period. John says that in the end-time a false messiah will appear on the scene and that he will be followed and worshipped by the members of all religions: “And all the world marvelled and followed the beast… and they worshiped the beast, saying, who is like the beast? Who is able to make war with him? … And authority was given him over every tribe, tongue, and nation” (Rev. 13:2-7). The promise in Haggai 2:9 is also quoted with regard to the rebuilt temple: “The glory of this latter temple shall be greater than the former… And in this place I will give peace, says the Lord of hosts.” This promise is extended by the Sanhedrin to all nations without any demand that they should abolish their own form of faith. The Antichrist will not only be recognized by Israel as their Messiah-King (cf. John 5:43) but also by all nations of the world. This false prince of peace will be globally accepted and recognized as religious and political leader by way of formal treaties. The covenant with him will be in force for seven years, which is known in Israel as a year-week: “Then he shall confirm a covenant with many for one week, but in the middle of the week he shall bring an end to sacrifice and offering. And on the wing of abominations shall be one who makes desolate” (Dan. 9:27). At the beginning of the year-week all nations will be allowed to continue with their own religion on condition that all of them recognize, worship and follow the new world leader as their common messiah. The Antichrist will be Messiah to the Jews, Christ to the deceived Christians, Krishna to the Hindus, the fifth Buddha to the Buddhists, and the Imam Mahdi to the Muslims. All the major religions will fully support this self-declared God-man – including deceived Christian churches which will be functioning virtually full strength after the rapture. These will be the churches that had previously rejected the virgin birth, deity and resurrection of the true Christ, together with various other fundamental Christian doctrines. Because of their spiritual treason against evangelical Christianity they will be committed followers of the false christ of all religions and fully express themselves in his global culture of sin. The Bible describes this false christ in terms of his true character as the “Antichrist” (1 John 2:18) and “the man of sin” (2 Thess. 2:3). The Antichrist will be so strongly motivated by his inclination to self-deification that he will declare himself to be God in the rebuilt temple in Jerusalem at the mid-point of the seven-year tribulation. He will further exalt himself above all religions by raising his position from messiah to that of God. Paul describes him as the one “who opposes and exalts himself above all that is called God or that is worshipped, so that he sits as God in the temple of God, showing himself that he is God” (2 Thess. 2:4). After 3½ years he will not only order the termination of the daily sacrifices and offerings in the rebuilt temple, but also abolish other religions and have their places of worship demolished or burnt. The beast and the kings who rule with him “will hate the harlot, make her desolate and naked, eat her flesh and burn her with fire” (Rev. 17:16). That will mark the end of the Antichrist’s association with the alliance of world religions, which John describes as “the mother of harlots” – an ecumenical body, or mother organization, to all the apostates (Rev. 17:5). After this moment the Antichrist will no longer be their common messiah but he and his image will have to be worshipped as the only God by all people. A strong demand of worship will not only be imposed upon the Jews but also upon the followers of all other faiths: they will either have to worship the Antichrist and his image in the Most Holy of the temple as God, or be subjected to summary execution. The false prophet will globally enforce the worship of Satan and his false christ, and also have the occult power to make the image to speak: “He was granted power to give breath to the image of the beast, that the image of the beast should both speak and cause as many as would not worship the image of the beast to be killed” (Rev. 13:15). The Lord Jesus referred to this situation, when the Antichrist will defile the Most Holy place of the temple by placing his image there. The Jews, who would refuse to bow their knees before the image and to worship the new world leader as God, will have to flee for their lives in great haste: “Therefore when you see the abomination of desolation (the false messiah and his image), spoken of by Daniel the prophet, standing in the holy place… then let those who are in Judea flee to the mountains… For then there will be great tribulation, such as has not been since the beginning of the world until this time, no, nor ever shall be. And unless those days were shortened, no flesh would be saved” (Matt. 24:15-22). Long ago, Daniel referred to this end-time dictator and said: “And forces shall be mustered by him, and they shall defile the sanctuary fortress; then they shall take away the daily sacrifices, and place there the abomination of desolation (the image of the beast)… Then the king shall do according to his own will: he shall exalt and magnify himself above every god… he shall go out with great fury to destroy and annihilate many” (Dan. 11:31,36,44). Israel’s continued national rejection of the deity and Messiahship of Jesus is paving the way for the conclusion of a covenant with the Antichrist. The true Messiah has warned them against the self-destructive acceptance of the false messiah and his demonic policy: “I have come in My Father’s name, and you do not receive Me; if another comes in his own name, him you will receive” (John 5:43). They will conclude a covenant with death as this “other messiah” will go forth from Satan – one of his hidden, major objectives being to annihilate all Jews. The international community will welcome and support the conclusion of a covenant with the new world leader as they will all be deceived by his ecumenical thinking and false offer of peace. Israel’s current approach to build a temple which will be a place of worship to all nations is part of the multireligious deception to which all people and faiths are presently subjected. It will lead to a covenant with the Antichrist, and he will give Israel the right to build a temple in which members of all faiths will be welcome. This temple will offer the Antichrist the ideal opportunity to deceptively declare himself to be the universal “god of this age” (cf. 2 Cor. 4:4) and to demand the worship of all people. The orthodox sentiments of the Jews will suit him well, since the majority of Israelis wish to rebuild the temple because of their continued rejection of the true Messiah and His sacrifice on the cross. They want to reinstate Old Testament sacrifices for the atoning of their sins. These are the sacrifices which the Antichrist will ban when he declares himself as God in the temple. We are on the threshold of the rapture and the revelation of the false Christ of all faiths. Israel (with the exception of a small group of Messianic Jews) is preparing the way for him, as are all the apostatized Christian churches who have become unfaithful to the true Christ. The non-Christian religions have long been preparing for the coming of the false messiah. Shortly after the Antichrist’s withholder (the true church as a temple of the Holy Spirit) has been taken out of the way, he will be revealed (2 Thess. 2:6-8). Then the Jewish temple which dates from the pre-Christian era will be rebuilt as the symbol of a Christ-rejecting new world order under the leadership of the Antichrist. “O Jerusalem, Jerusalem, the one who kills the prophets and stones those who are sent to her! How often I wanted to gather your children together, as a hen gathers her chicks under her wings, but you were not willing! See! Your house is left to you desolate; for I say to you, you shall see Me no more till you say, Blessed is He who comes in the name of the Lord!” (Matt. 23:37-39). The destruction of Jerusalem and the temple was the direct result of rejecting the Lord Jesus. Jerusalem’s religious leaders committed themselves to continuing the temple service because of having rejected the once for all sacrifice of the Lamb of God for the sins of Israel and the whole world (John 1:29). The true Corner stone was rejected by the builders of the nation, which caused the national life of Israel to collapse: “The stone which the builders have rejected has become the chief corner stone. Whoever falls on that stone will be broken; but on whoever it falls, it will grind him to powder” (Luke 20:17-18; cf. 1 Pet. 2:6-7). Paul says, “Jesus Christ Himself is the chief corner stone” (Eph. 2:20). In the light of these facts the Second Temple was doomed: “Then Jesus went out and departed from the temple, and His disciples came to Him to show Him the buildings of the temple. And Jesus said to them, Do you not see all these things? Assuredly, I say to you, not one stone shall be left here upon another, that shall not be thrown down” (Matt. 24:1-2). That would be the direct consequence of the fact that the Sanhedrin as well as the great majority of the Jewish people did not realise that God had visited them in the person of Jesus Christ (Luke 19:41-44). The perpetuation of the old covenant stood in the clear sign of rejecting the new covenant under the Messiah. The Jews clearly made this choice when they stood before the Roman governor, Pontius Pilate, and, to their own ruin, decided to reject Jesus and bear the consequences. They said, “His blood be on us and on our children” (Matt. 27:25). And how did Israel not suffer because of this tragic decision! It is not yet the end of their suffering as they are still strongly opposed against the Messiahship of Jesus. The inevitable consequence of this attitude will be that the modern Sanhedrin will accept another person (the Antichrist) as Messiah-King (John 5:43) when he comes to what they surmise will be their rescue and also gives them the right to rebuild the temple in Jerusalem. That is exactly what the false messiah will do because the resumption of the temple service will ensure that the Jewish leaders will still reject the once for all sacrifice of the true Messiah on the cross. The Antichrist will also have another purpose with the rebuilt temple and that is to declare himself to be God in it (2 Thess. 2:4). The whole idea of rebuilding the temple will, therefore, have far-reaching antichristian consequences. The Antichrist’s intended act of profaning the temple midway through the seven years of tribulation when he will pretend to be God, will lead to great disillusionment among the Jews. They will revoke their covenant with the false messiah and have to flee from Jerusalem in great haste (Matt. 24:15-22). At the end of the great tribulation the remnant in Israel will see the true Messiah setting foot on the Mount of Olives (Zech. 14:4-5). Then only they will say to Him: “Blessed is He who comes in the name of the Lord!” (Matt. 23:39). It is a treacherous and very difficult road which the modern Sanhedrin, together with other leaders of Israel, have chosen for this nation. It will lead to great loss of life, but ultimately Zechariah 12:10 will be wonderfully fulfilled when a remnant in Israel will look on Him whom they have pierced and bitterly mourn for Him. The entire nation will then realise how foolish it was to prefer the temple service above the sacrifice of the Messiah on the cross (Heb. 7:26-28).